This entry was posted in Genealogy, History and tagged Altaguardia, Pancheri, Samoclevo. Bookmark the permalink. 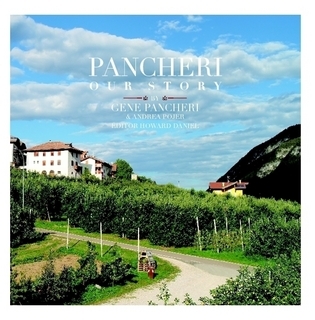 Very impressive on the Pancheri Family book and I would like to read it! Hello to Allen and Jack, I am also researching in Val di Non, primarily Sporminore. Let’s compare notes sometime. I too have done considerable work in Sporminore and Cavadago. I have read Gene’s book and plan on visiting Trentino Alta Adige and the Val di Non this coming summer. We plan to visit some long lost relatives that Gene helped me find in Ronzone. We plan on visiting the ruins of Castle Altaguardia near Bresimo also. I am familiar with Gene’s work and have incorporated some of his research into my own research of the Terza Sponda villages of Revo and Romallo. There is a small group of us researching the Val di Non and I think almost all of the 38 villages have been covered to varying degrees. Gene’s work however is definitive and we should all be thankful for his major contributions. Have you researched much of Ronzone ? When I go to Italy I plan to look for more information on my Great Grand Father Vincenzo Valentino Recla who was born in Ronzone. Hi Jack – Yes, I have done a lot of work in Ronzone, Ruffre and surrounding villages. We will be at our home in Tret next summer. Please get in touch before you leave so we can get together in the VDN. We have lived there since 2002 and know the area extremely well.